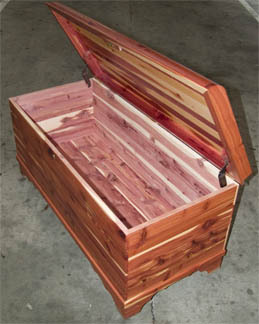 Our Amish made traditional cedar chest is made from 100% cedar, not just cedar lined like some other chests. It features sturdy metal hinges and a cylinder lock. Please contact us if you would like a special size or any other customizations and we will be happy to let you know if the Amish builder can do it for you. Truly an heirloom quality product that will stay in your family for generations! 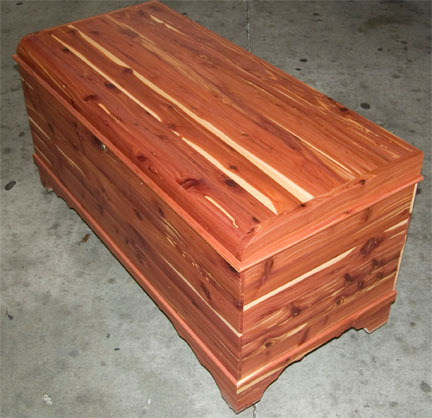 Approximate size of the chest shown is 60”L x 24”W x 18”H - write us for exact measurements, or if you need a specific size.